coaching to the appropriate level. This ensured that each person was learning and not being left with the baseline curriculum. In addition, they passed on a lot of the mental aspects of climbing (mountain sense, condition assessment, team psychology) which I really appreciated. Distinguished among climbing schools, the Eight-Day Alaska program is a progressive-development, hands-on program. Our goal is to educate climbers in mountaineering essentials and give graduates a firm understanding of alpine climbing skills. In addition, we’ll attempt to summit two peaks. In addition to the skill set listed below and the summit attempt, we look for this program to be a remote mountain experience. We’ll apply skills as we learn them with a keen eye on safety, personal maintenance, environmentally friendly campsite construction and Leave no Trace ethics. Sleds are used early in the course to familiarize students with their use on an Alaska Range expedition, and to facilitate getting to our first training camp. Later in the course, we will try to avoid sled use and have students pack carefully and properly when moving camp.This is simply to help acquaint students with proper packing skills, which are necessary in most alpine climbing areas of the world. It should be noted that the use of sleds can broaden meal choices. 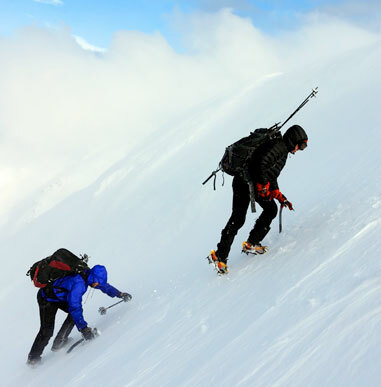 This course serves as a prerequisite for many of Alpine Ascents’ intermediate-level climbs, including Denali, and as a stepping stone for more technically difficult mountains. 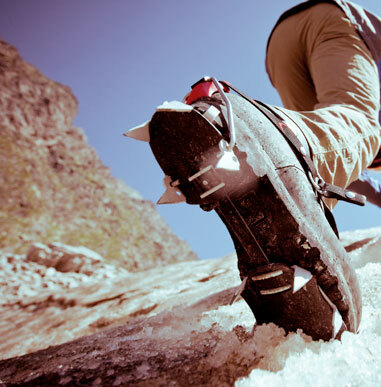 Our 8-Day and 12-Day Alaska courses have a 4:1 ratio. For your course you need lunch food for 8 days. Determining the amount of lunch food to bring is difficult to gauge on your first mountaineering expedition. General guidelines are given below. The rule many guides work with is the weight of your lunch food should be equivalent to weight of your breakfast and dinner food added together. You will need 7 dinners for your course. Many guides bring a soup packet, like instant miso soup, for each meal (unless the meal is already soup based). This makes a great pre-dinner hot drink and helps keep us on top of our hydration. Don’t forget your Hot Drinks! Our guides were super knowledgeable and with abundant experience. What I found best and really making the experience outstanding were our guides genuine love for the mountain and alpine adventures. It is most inspiring and effective to learn from people who love what they do and teach – it was 100% the case here.